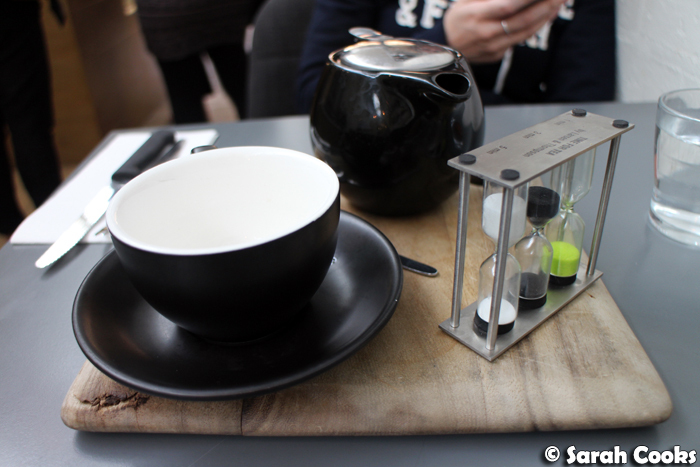 A couple of weeks ago, we had a lovely spa day in Frankston (redeeming a voucher that some of my favourite food blogger friends had given me for my birthday last year! ), and I thought we should take advantage of being down that way and have lunch in nearby Mornington. 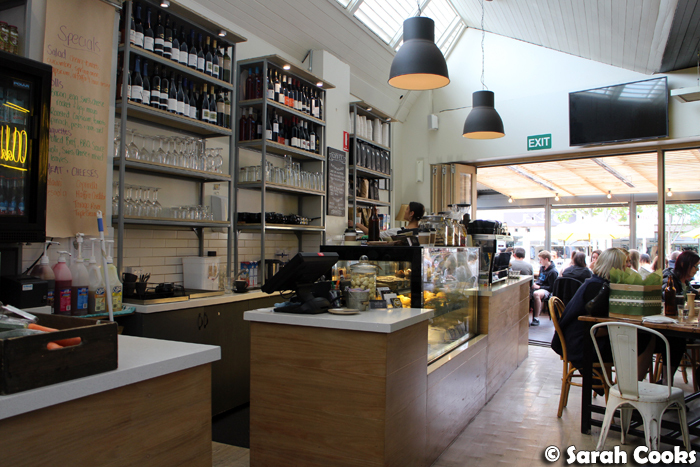 The Winey Cow is a bright and airy cafe and wine bar on the main drag of Mornington. The Saturday we were there it was very busy, and it seems to attract a very well-heeled clientele - I felt a little out of place in my sloppy jeans and tee-shirt, with greasy hair from the massage! Sandra enjoyed her white peony tea (which I understand is a white tea from Fujian province in China), and I thought the little tea timer that came with it was a nice touch. I eschewed my usual coffee and tried a Rooibos latte. 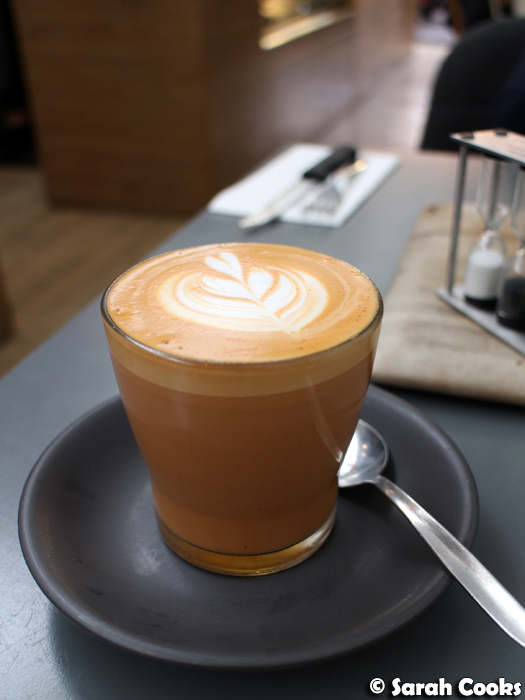 I often drink rooibos at home, but had never tried it in a latte. This was really nice - not overly sweetened and with a prominent tea flavour. Looking at the other tables, "The Winey Cow" is one of the most popular dishes at The Winey Cow, and I can see why! 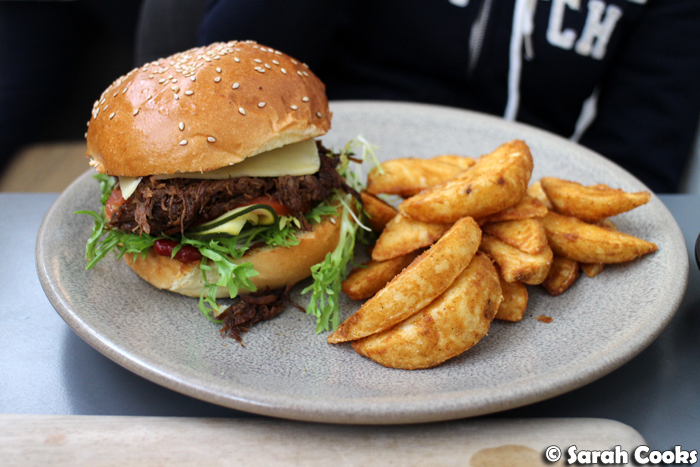 This is a brioche bun burger filled with tender spiced pulled beef and lots of other deliciousness, like chipotle mayo, Swiss cheese, pickled zucchini and more! Side note: this was Sandra's lunch, but I stole a couple of those wedges, and they were gooood. I couldn't resist the 3 Little Pigs - four types of pork in the one dish! 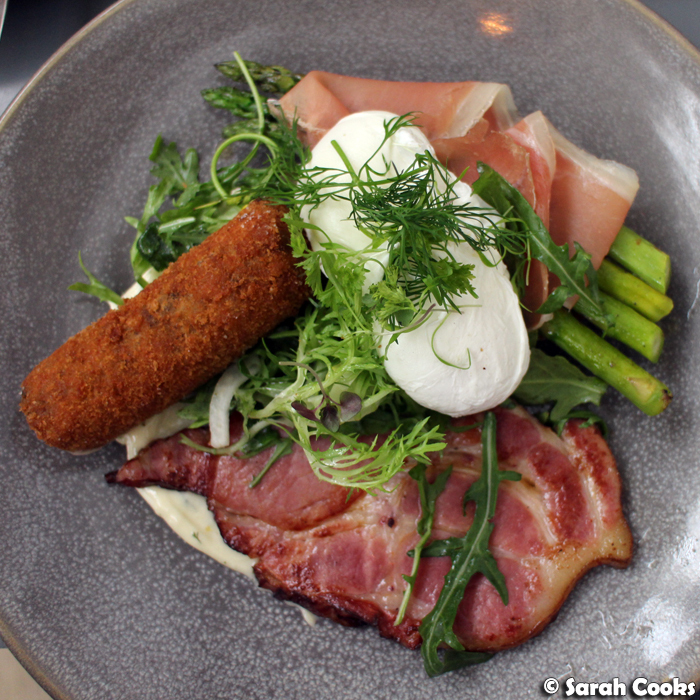 There was a crisp and creamy black pudding and bacon risotto croquette, a thick slice of grilled smoked pork neck bacon, and some jamon serrano, served with two poached eggs, lemon mayo and some healthy (hah) salad and asparagus. It was a real indulgence, and so delicious! 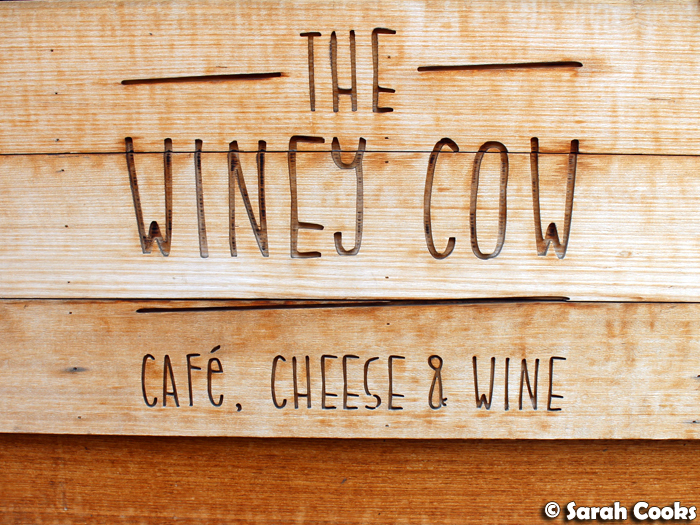 The Winey Cow was a great find - friendly service, a good range of drinks and great brunch dishes. Definitely recommend this one if you are down in Mornington!